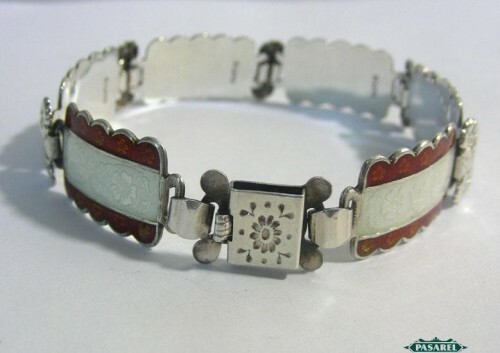 Pasarel - Colorful Sterling Silver & Enamel Link Bracelet. Colorful Sterling Silver & Enamel Link Bracelet. 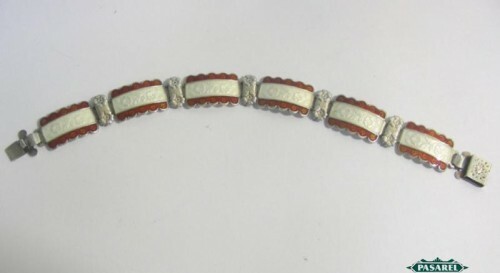 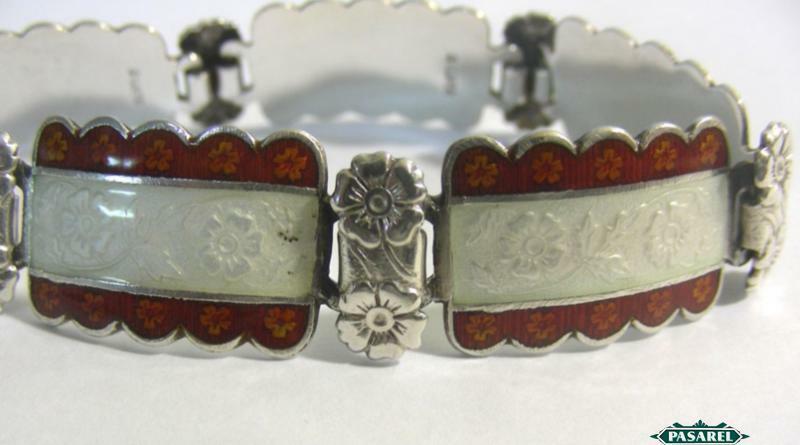 The bracelet is made of rectangular sterling silver links decorated with semi transparent white and deep orange enamel on floral ornaments. 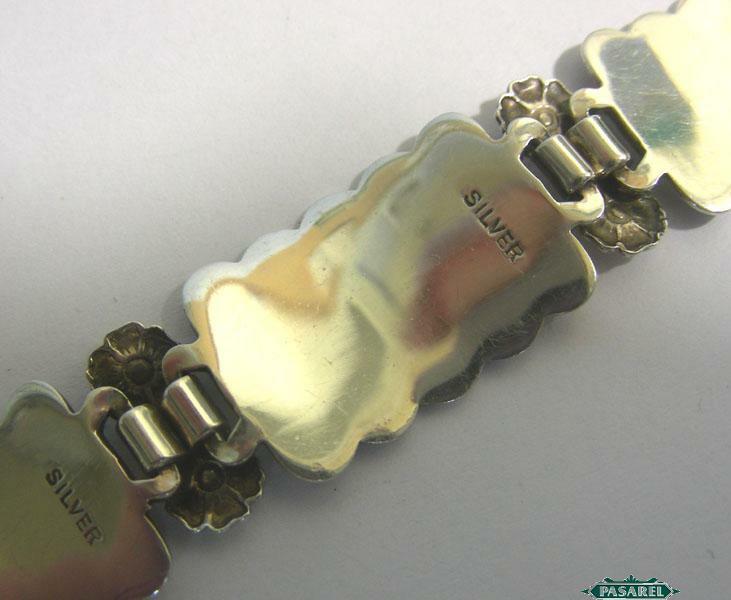 The connecting links and the clasp are engraved with floral ornaments. Length – 18.5cm / 7.28in. 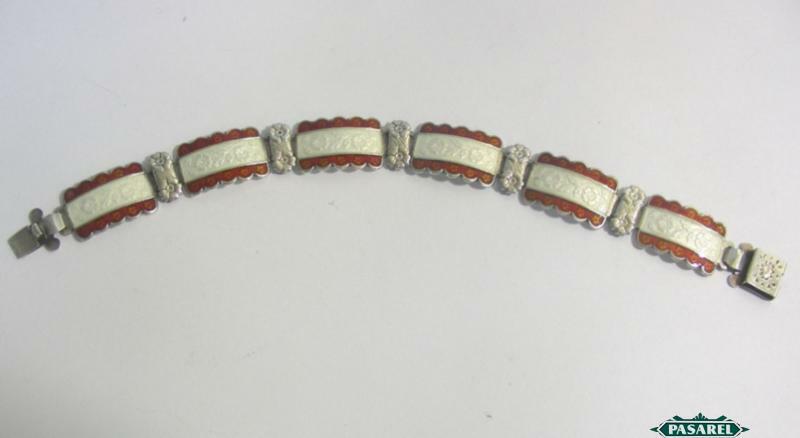 Width – 14mm / 0.55in.